I’ve been working on a lot of documentation lately and was recently tasked with converting a bunch of heading tags that were originally written using sentence style capitalization to use the more proper title capitalization. This is not a huge task in and of itself, but with a few hundred headings to change out, I figured there was probably a tool out there that could help me out. A few google clicks later, I found Sublime-TitleCase, a really handy plugin for SublimeText that applies smart title capitalization to a selection of text. It’s smart in that it doesn’t just capitalize every word in the selection (like the Title Case function that ships with SublimeText does), but rather applies a set of rules that figures out which words to capitalize and which should be left lower case. A quick restart of SublimeText and you should be up and running! Happy Capitalizing! One thing I found to be a bit confusing when I first started using Respoke was the concept of Endpoints, or to be more specific: how endpoints function within the Respoke platform. First let’s start with defining what an Endpoint is. At its most basic level, an Endpoint represents a user within the Respoke system. 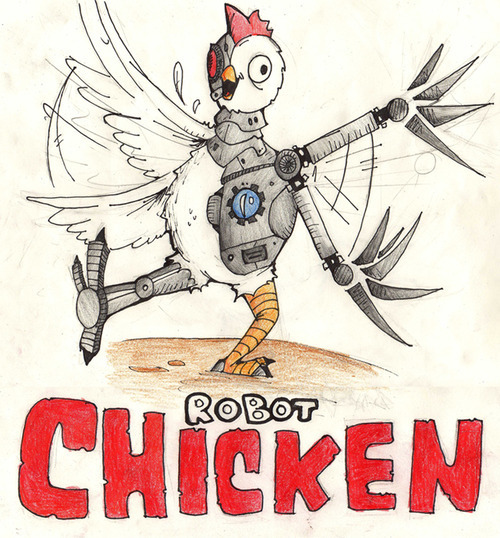 That being said, a “user” could be any number of things: a person connecting from their browser or mobile device, a server, a SIP phone, or even a Robot Chicken (if we could just get the good Doctor to add WebRTC support!). Basically anything with the ability to establish a connection with the Respoke framework can become an Endpoint. So now that we know what an Endpoint is, the next thing to figure out is how to communicate with them. 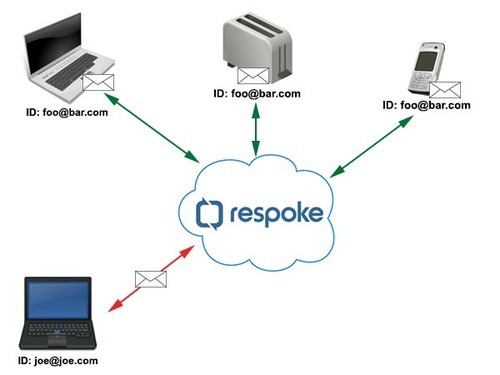 When connecting a user of your application with Respoke, it will be up to you to supply an Endpoint Identifier that will be used to identify the Endpoint through which that user can be reached. The Endpoint Identifier is essentially the ID of the user within the Respoke framework, and can be anything you want: an email address, a generic user id, or whatever other method you might use to track your users. One thing to keep in mind is that a user might connect to Respoke multiple times with the same Endpoint Identifier, but not to worry, Respoke automatically maps all of these Connections to a single Endpoint. The advantage of this is that you don’t have to worry about tracking all the locations where your users are connected. Respoke will take care of sending any messages or calls to all of the Connections for an Endpoint. In the example below, Joe sends a message to Endpoint with ID foo@bar.com. Joe only sends the message once, but it will be distributed out to all the places where foo@bar.com is connected to Respoke (in this case a laptop, cell phone, and toaster!). So now that we have an Endpoint for user “foo@bar.com”, we can call methods like Endpoint.getPresence() to find out if they are currently online or not. The really cool part of this is if the user is not online, we can still create an endpoint for them, and when they do come online, Respoke will automatically connect them to the Endpoint instance that we have already created! So that’s a brief introduction to Endpoints in Respoke. If you still have any questions, feel free to leave me a comment below, or head over to the Respoke Community Forums and post your question there. You can also find more information about Respoke Endpoints in the Respoke Docs. Hack Arizona is the largest student-led hackathon in the Southwest. Respoke sponsored this year’s event, and I was fortunate enough to be the man on the ground helping the teams get up to speed on web communications and the Respoke framework. I can say without a doubt that this was one of the best hackathons that I have ever been to. Ian Tracey, Dillon Walker, and the rest of the HackArizona team did an absolutely outstanding job by recruiting an incredible group of over 400 collegiate hackers from across the Southwest, securing and setting up a really cool venue in the Science and Engineering Library at the University of Arizona, and managing the crazy 36-hour sprint to finish line. In rare form, the event went off without a hitch. The wi-fi was stable and fast, the mentorship teams knowledgeable and willing, and the Red Bull flowing in a seemingly never ending supply. Things kicked off on Friday night with a keynote speech by Michele Norin, chief information officer for the University of Arizona, after which the madness officially began. Teams were formed, concepts created, Red Bull consumed (in lethal quantities), and the first lines of code were eagerly typed into several hundred computers. The entire library buzzed with the type of energy and excitement that comes from the promise and potential of a new idea. Over the next 36 hours, the teams all had the opportunity to learn, experiment, and play with new ideas and new technology. Many of them choosing to use languages and frameworks they had never before laid eyes on. On a personal level, I had the chance to mentor several teams who created some really amazing projects, and I couldn’t be more proud of each and every one of them for stepping out of their comfort zones and stepping up to the challenge of learning something new! As a sponsor of the event, I was tasked with picking a winning team from among the groups who submitted projects utilizing the Respoke framework. This was no easy task, but in the end, it came down to the team that came up with the most ingenuitive hack. The cleverly named “Team.getName” submitted an application called ShowMe which was able to capture a video stream coming from a Parrot Drone and attach it to a Respoke video connection. This connection was then shared with a remote third party who was able to not only take part in a video call with the drone operator, but also to see exactly what the drone’s camera was seeing. This project had some rather interesting commercial potential (think of a real-estate agent giving a virtual tour of a property, or an architect being able to survey a property from thousands of miles away), and the fact that it came together in a mere day and a half was truly inspiring. There were a number of other really impressive projects created at the Hackathon, but one in particular, stood out as a favorite among all the attendees. Thomas Pryor created an Arduino based hardware hack which uses a set of flex sensors sewn into a pair of gloves to translate American Sign Language into audible communication. All in all this was an outstanding event, and I truly look forward to the opportunity to take part in any future events that the team may put together! A recent update to the Google Chrome browser has introduced a step towards the removal of support for the The Netscape Plug-in API (NPAPI). The result is that any pages that utilize a plugin using the NPAPI (such as Flash, Silverlight, etc.) will be disabled, you will receive a “Plug-in Blocked” notification, and any object on the page utilizing the plugin will display the beloved “missing plugin” image. From here you have the option of individually enabling the plugin on a per-domain basis (this is done by clicking the “Plug-in blocked” notification, and selecting the option to allow plugins for this domain). This is a fast, but rather annoying workaround that will only work for the next few months until Google permanently disables NPAPI support (at which point, this option will no longer be available). I recently downloaded a copy of my wordpress site to my local dev machine using the Duplicator plugin (works great by the way), and everything seemed to be working correctly, until I went to the wp-admin page. When trying to login via wp-admin I was presented with the message “Error establishing database connection.” Like most relatively intelligent individuals, I cracked open my wp-config file and checked, then re-checked, then re-re-checked my DB_USER, DB_PASSWORD, DB_HOST, and DB_NAME properties. As far as I could see they were all correct, yet the issue remained. I finally made the upgrade to Adobe Creative Cloud, and thus far I have been extremely pleased with the new product line (the most notable difference being the compilation time and general speed of both Flashbuilder and Flash Professional). But, as with any new Adobe product, there are also a fair amount of really annoying and hard to diagnose bugs. The latest issue to plague me was that Flashbuilder suddenly stopped reporting compilation errors. As always, this resulted in a few frustrating hours consulting Dr. Google without much progress. And, as (almost) always, I finally found a solution. All I had to do to get Flashbuilder to start playing nicely and reporting compiler errors again was to delete the project from my workspace (right-click on the project in the project explorer and choose delete, but select the option to not delete the contents), then re-import the project back into Flashbuilder (right-click in project explorer, choose import, then browse to the folder containing your project). That was all it took for me! Hopefully this will save someone from hours of head banging (at this point my skull is harder than steel! ).